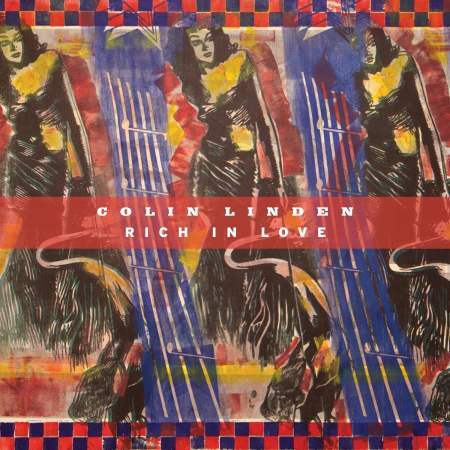 Toronto-born, Nashville-based Colin Linden is one of the most heavily recorded artists in the blues with credits on more than 500 CDs as a singer, guitarist, session musician or producer, but Rich In Love is the first studio album he’s recorded in six years – and the wait is definitely worth it. Mentored by Howlin’ Wolf before he was a teenager, Linden was just 15 years old when he embarked on his first tour as a musician, working with acoustic powerhouse Don McLean on a journey that took him across Canada, through America’s Rust Belt and into the Mississippi Delta. 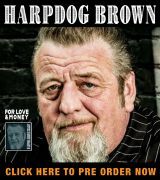 A winner of eight Juno Awards, Canada’s top blues trophy, and a multiple Grammy winner for work on O Brother Where Art Thou and Down From The Mountain, which won top honors in Best Album and Best Folk Album categories in 2002. A tasty, talented slide guitarist, Linden’s also an accomplished songwriter whose works have been covered by a wide range of artists, including Keb Mo’, The Blind Boys Of Alabama, Colin James and The Band. He’s spent the past few years in the studio with Gregg Allman, Rhiannon Giddens and Diana Krall and on the road backing Bob Dylan. This album marks Linden’s return to the Stony Plain imprint, where he began his studio work with the album The Immortals 30 years ago. A thoroughly modern CD with a timeless feel, all of the material on Rich In Love was penned by Linden or in collaboration with his novelist wife Janice Powers or bassist John Dymond as well as a pair of Grammy winners, Gary Nicholson and Tom Hambridge. The format is basically a three-piece band with Gary Craig, who teams with Dymond as The Rotting Matadors, on drums. And if that’s not enough, Colin’s brought in four more heavyweights to round out the sound: harmonica player Charlie Musselwhite, organists Reese Wynans (Stevie Ray Vaughan) and Tim Lauer (Keb Mo’ and Lady Antibellum) and Levon Helm’s daughter Amy, a recording artist herself, on backing vocals. One of the most novel love songs I’ve heard in a long time, “Knob & Tube,” kicks off the album. Linden backs himself on mandolin as he uses imagery about electricity and food to describe the attraction he feels with his woman: “I am the pole/You are the line/We’ve got electricity running blind” and “Wanna be bacon to you/Like chicken in a pie/Sixty-second cycle/Runnin’ side by side.” Next up is “I Need Water,” a song of loss that deals with both parched farmland during a drought and the inability to cry any more after a woman’s packed up and gone. “Delia Come For Me” is based on an old country blues ballad, but with a modern twist. Linden sings it in the first person in the body of Troy Davis, a convicted murderer who was executed in Georgia in 2011, but might have been exonerated if more evidence had come forward before his death. A Musselwhite moan on the reeds introduces and runs beneath “The Hurt,” a modern blues that deals with Etta James, Muhammad Ali and Sonny Liston, like a river of pain as Linden describes the suffering they endured before people would believe their stories. 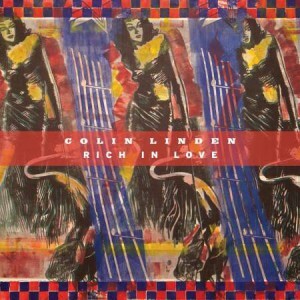 The mood brightens for “Everybody Ought To Be Loved” with Colin finger-picking on acoustic guitar and Helm doubling his vocals for the chorus. The them continues, albeit a little darker, in the minor-keyed ‘Rich In Love.” In this one, the singer knows his lady cries in bed while he’s sleeping, and he’s going “down, down, down to find out” what she’s been dreaming. The imagery is haunting. “Date With The Stars” is a sweet, slow reverie about watching the night skies, written when Linden was dealing with a bout of insomnia. It’s followed by the acoustic “And Then You Begin” and “No More Cheap Wine,” a blues that delivers the message that life’s too short to sell yourself short in anything from your choice of beverage to anything else. The country blues “Luck Of A Fool” sings about achieving success in spite of self-doubt before the bittersweet ballad “I Made A Promise” recounts a broken oath to a loved one before “Paybacks Are Hell” serves as an epilogue to conclude the set. 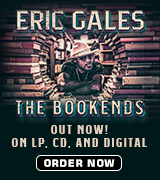 A seamless production from beginning to end and that’s both beautiful and hard to categorize, Rich In Love remains packed with blues elements and proves once again why Colin Linden is one of the most important voices in roots music for the 21st Century. Available everywhere.